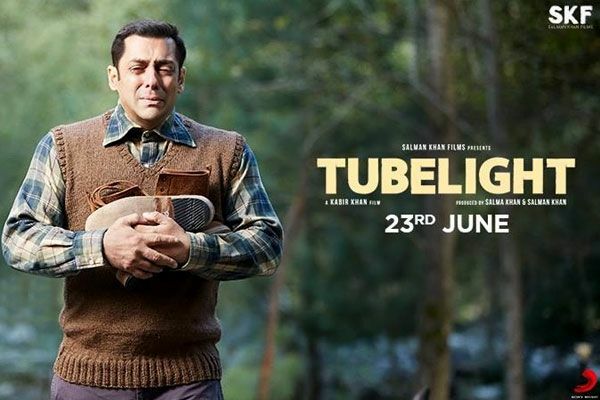 Tubelight Movie Box Office Collections: The much-awaited film, Tubelight, features Salman Khan, Sohail Khan and Chinese actress Zhu Zhu is all set to release on June 23, 2017. Tubelight is also releasing during Eid and it can easily beat Baahubali 2‘s opening day record. The pre-bookings for ‘Tubelight’ have already started and the demand for the movie tickets is extremely huge. Check out the real and genuine Tubelight Movie 1st Day Collections Worldwide, 2nd Day, 3rd Day, First Weekend, First Week and Total Run Collections in India, Overseas from the below article. The film is releasing in 5550 screens worldwide, out of which 4,350 are in India. The first record is the first-day collection of Baahubali: The Conclusion which is Rs 41 crore. Tubelight has the potential to touch the record as it is a Salman Khan movie. As per early trends, Tubelight is likely to collect less than Rs. 21.15 Crore net at the Indian box office on the first day. Tubelight collected another Rs 21.17 crore on day 2 (Saturday, June 24). This takes the overall tally of the film to Rs 42.32 crore at the domestic box office after just two days. As per early estimates, Tubelight collected Rs 22.45 crore on Sunday. Taking its 3-day nett domestic collection to Rs 64.77 crore. It’s gross business in the first three days stood at Rs 89.96 crore. Salman Khan’s Tubelight is releasing during a long weekend and this might prove lucky for its box office collection. Hope you like this, Salman Khan‘s Tubelight Movie First Day, Second Day, Third Day, First Week, Total Run Box Office Collections in Mumbai, Delhi, Maharashtra, India, Overseas. Do you think Tubelight will be able to beat Baahubali 2’s records? Share your views in the comment box below.